Description:A gift…or a curse? Jessica Mastriani has never liked attention. All she wants is to make it to high school graduation like any ordinary girl. 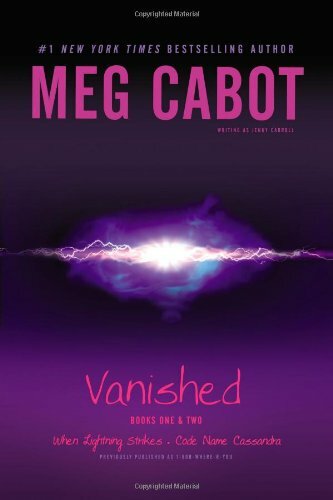 But when Jess is struck by lightning, she becomes anything but ordinary: suddenly she has the ability to locate missing children. "And what the hell, I have so many weeks of detention, I've completely given up the idea of ever having a life. It's too bad, in fact, that detention doesn't count as an extra-curricular activity. Otherwise, I'd be looking real good to a lot of colleges right about now." "That's the thing about Feds, see. They can sound just like normal people. When they aren't wearing their trench coats and earpieces, they look just like anybody else. They're not like the Feds on TV-you know, like Booth or Brennan, or whatever. Like, they aren't really handsome, or pretty , or anything." "You were right, Jess," he said. "Tampons do make good fuses. I glanced at Ruth. "And you said detention was a waste of my time." Ruth only shook her head. "The American public education system," she said, "was clearly not designed with ingrates like you in mind."